...for a few weeks. And then, like most things, it got old quick. It probably didn't help that all the teachers in my building had heard about Kahoot! (mainly from me not shutting up about it) and for a few weeks students were subjected to the fast past multiple choice game multiple times a day. I still think Kahoot! has it's place and time in the classroom, but recently I have been researching lots of different websites that work similarly to Kahoot! trying to find the best out there! The first one I tried is a website called Quizzizz. 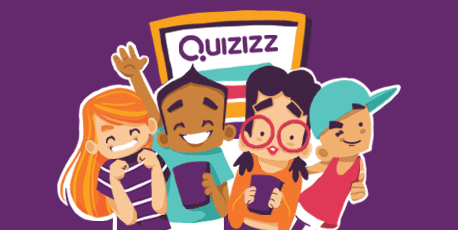 Quizzizz promotes itself as "free self paced quizzes to review, assess and engage -in class and at home". 1. Log in with Google. There is nothing worse than having to create a new log in with a new password to write down on a sticky note that I will surely lose. I don't do well with passwords. It's my Achilles heel of classroom organization. 2. Search public quizzes. I even found a wide assortment of quizzes that connect to the curriculum that our district uses. That's neat! 3. Live vs Homework. You can start a quiz live for the classroom setting or you can open a window for students to be able to complete the quiz at home. My students have a lot of absences. It sort of just comes with the territory in a low SES school. The homework option is fantastic for students who miss class or want to take it again at home. 4. Pull Individual Questions. You can start making your own quiz and then just pull individual question from public quizzes. So helpful! In Kahoot!, sometimes I don't want to duplicate an ENTIRE quiz and then have to edit what I want and don't want, and so having the ability to just copy questions over is very flexible. 5. Self paced. This was HUGE for me. 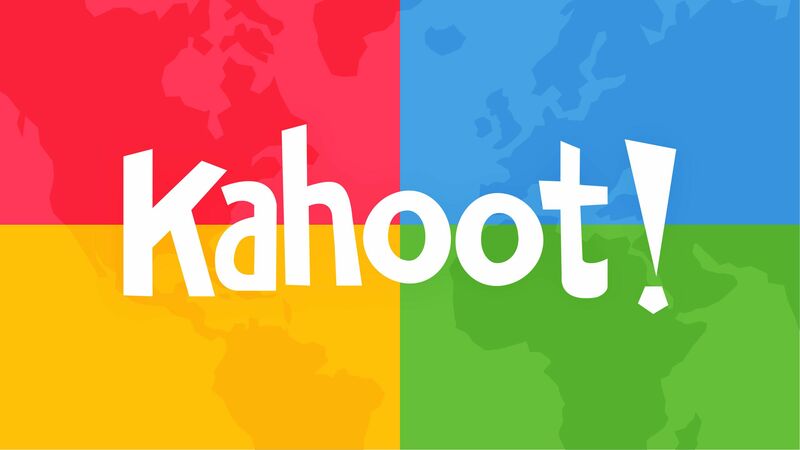 For my students who work a little slower or need more time to get started on each question, Kahoot! is pointless. They quickly give up when they realize that they aren't going to be able to work fast enough to answer. But with Quizzizz students can go as fast or as slow as they want. You can even put up this live feed of how each group is doing, showing progress and accuracy. My students liked the live feed and the desire to not get red chunks in their progress bar was pretty motivating. We have created a pretty solid class culture where we don't fear mistakes or feel embarrassed by making them, so I wasn't worried about publicly displaying this live feed. I think it's important that that kind of culture is there before you post up the live feed. 6. Immediate feedback. As soon as the student answers a question in Quizzizz it lets them know whether or not they got the answer right. Kahoot! also let's them know but for some reason the instant feedback seemed to be more beneficial in this platform. 7. Reports. The reports section was awesome. I can go back days later and pull up the report from the quiz. They are easily organized and made entering grades from this quiz super fast and efficient. 8. Mastery. I had a few students finish the self paced quiz (I had them complete it in partners) and then go back and play again, wanting to get a better score. Once the quiz is live, students can go take it as many times as they want. They just re enter their names and go through the questions again. I had the settings set so that every student's questions were shuffled and even the answer choices were shuffled so that they couldn't just go back and hit "B" instead of "C". I liked the ability for students to try again, especially since this was just a quick formative assessment that was mostly for students to know where they were at, and for me to quickly evaluate who was really struggling. 9. Answers on Student Device. I have almost 40 students in every class and due to limited space, many students sit far from the board. In Kahoot!, student devices only show colors and symbols, and they have to look up to the board to see the answer choices. There are always complaints about students not being able to see the board or choosing the wrong answer because they couldn't see the answer choices. With Quizzizz, the answer choices also show up on the student device. Hallelujah! 10. Quick and Easy Formative Assessment. Overall I really liked Quizzizz and will use it again. Grading takes a lot of time, and the ability to immediately know where a student is at in their understanding is rare, and nearly impossible in a class of forty students. This, although it has it's flaws and isn't a perfect assessment measure, is a very quick and easy way to get a decent gauge for where your students are at. Have you tried Quizzizz? Is there another platform I should try? But Do You Ever Give Them a Chance to Write! ?